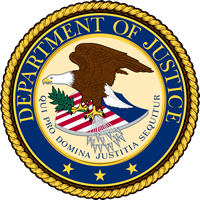 Danske Bank has received requests for information from the US Department of Justice (DoJ) in connection with a criminal investigation relating to the €200 billion money laundering case in Estonia. As reported last year, Denmark’s two largest banks, Danske Bank and Nordea, were involved in alleged anti-money laundering (AML) violations. At that time, more than DKK 7 billion ($1.1 billion) was transferred to accounts in the Danish banks. Accounts that belonged to “shady” drawer companies with addresses in tax havens like Seychelles and Panama. The transactions took place between 2011 and 2014. After more recent investigations, it was found there were issues with Danske’s control and governance system at the Estonian branch from 2007 until 2015. The figures went up as Danske explained that around €200 billion of payments had flowed through its Estonian branch from non-resident customers — from countries such as Russia, the UK and the British Virgin Islands. As a result of this, last month Thomas F. Borgen, CEO of Danske Bank, stepped down. Initially he was going to stay on until a new CEO was appointed, but the bank decided it was better if he went straight away. In terms of the DoJ and this latest chapter, Danske says it is in dialogue with authorities regarding the terminated non-resident portfolio at the bank’s Estonian branch, which was active between 2007 and 2015. This includes criminal investigations in Estonia and Denmark. “We are cooperating with the authorities investigating us as a result of the case. However, it is too early to speculate on any outcome of the investigations,” says interim CEO of Danske Bank, Jesper Nielsen.